A former Cedartown High School Baseball standout Jack Haney, who just graduated from CHS weeks ago will have a decision to make, after he was selected by the Washington Nationals organization in the 33rd round of the 2018 Major League Baseball Draft. Haney, who played four years with the Cedartown Bulldogs as a catcher, infielder, and pitcher, had been sought out by the Nationals from as early as two years ago when he wore the Nationals gear at the Area Code baseball games, where he turned the heads of scouts. 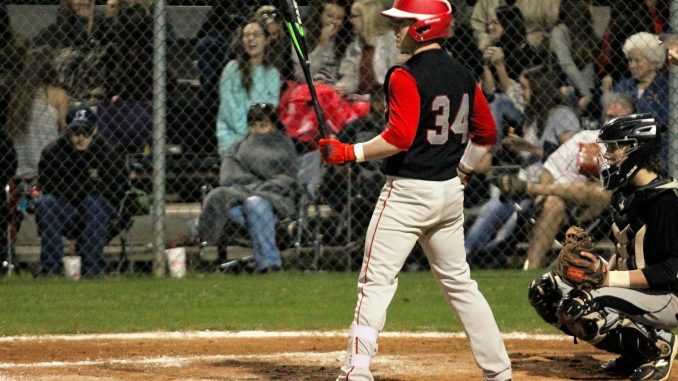 Haney has already signed a scholarship to play at Chipola Junior College in Florida, but could choose to go on into the Nationals system to rookie ball in Florida in the next couple of weeks. Haney, who’s favorite MLB player is Washington’s Brice Harper, wore #34 on his jersey for most of his high school baseball career.